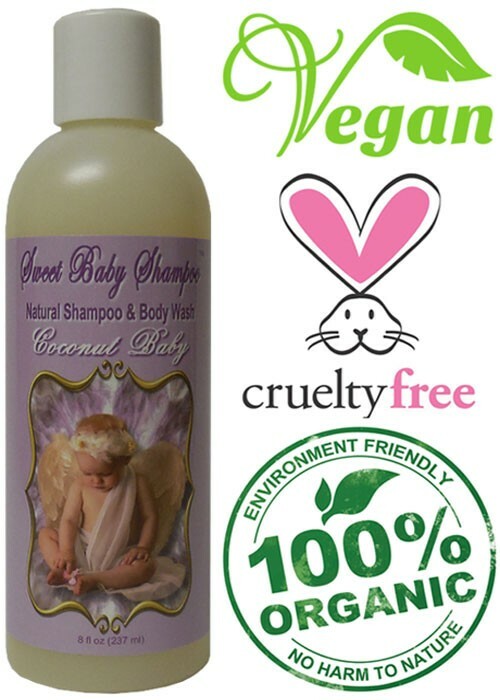 Why Use Vegan / Natural Shampoo? Did you know that vegan shampoos actually exist? It’s no surprise that with hundreds of different shampoo brands out there, not all of them are vegan friendly. With some shampoos containing animal derived ingredients such as honey and beeswax, while others are tested on animals before being sold, making sure you do your research to find ethical shampoos is essential. A lot of the time, a chemical can either be sourced from plant or animal sources, but there’s no way of knowing its origin unless specified. This can leave you in the dark when trying to figure out if a particular hair care product is actually cruelty free or not. If like many, you call yourself a true vegan then you’ll go out of your way to make sure all your beauty products are cruelty free as well. To save you time researching hundreds of different ethical hair care brands, we’ve done the hard work for you. So why should you use cruelty free hair care instead of just a typical supermarket brand? Well as you’ll learn later on, a lot of the popular in store brands are owned by big consumer companies that test their products on animals and often use animal based by-products to reduce their costs.Not only does this harm animals but a lot of the chemicals and ingredients used in these consumer shampoos can be harmful to humans. If you have sensitive hair or skin, then these chemical filled shampoos can send your body into a frenzy. In just a matter of hours, you can develop rashes, marks, and itchy skin all over your body.Cruelty free shampoo, on the other hand, is entirely different. Made from entirely plant-based ingredients and no harmful chemicals or toxins, natural shampoo still gives you the amazing clean and fresh feeling from regular shampoo. Not only do organic formulas help gently soothe and calm and sensitive skin or hair but you can also use it know no animals were harmed in the making. This goes for bees as well, as real cruelty free shampoo won’t contain any beeswax or honey as they are animal by-products.So, where’s the best place to find these all these ethical and cruelty free hair care products?Well the chances are you’re already shopping with them now. It’s no surprise that with Amazon being the biggest online store in the world, there are plenty of affordable shampoo brands available on there. But why trust Amazon over your local store? We’ve incorporated several factors such as size, price, reviews and overall effectiveness of the shampoo into our research. Let’s face it, with so many different products out there we only want to know about the best ones. But which ones are worth your money, and are they all as natural as they say they are? Here’s our top 10 list of the best organic and natural shampoos you can find on the market today. Leaves your hair feeling clean, healthy and beautiful! One of the cheapest shampoos on our list but by no means the worst, is the daily benefits shampoo from Beauty Without Cruelty. Known for their strong stance against animal testing and cruelty (hence the name), this shampoo delivers amazing results at an affordable price. Suitable for all hair types, this daily shampoo features essential oils that strengthen and protect your hair while improving its overall look feel and texture. With no animal ingredients, paraben or synthetic fragrances you can be sure you’re not damaging your hair with any toxic chemicals. 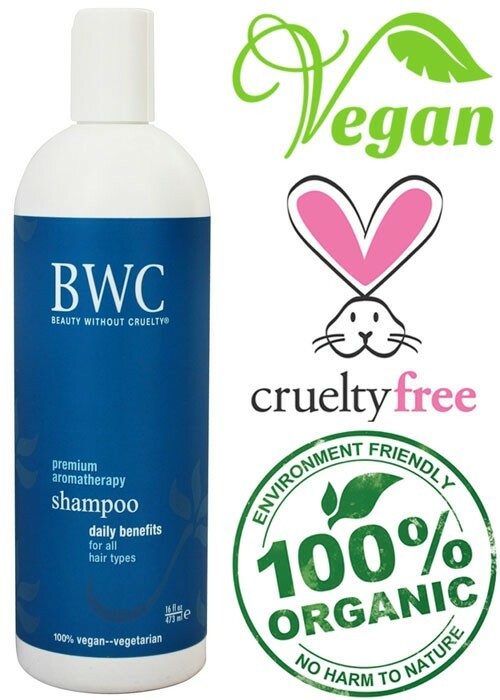 Available in a 16 oz (473ml) bottle, who said cruelty free shampoo had to be expensive? With a 4.6 out of 5 star feedback on Amazon it’s safe to say that customers love it, with one customer even labelling it the best shampoo they’ve ever used! Ok so we know this is not technically shampoo but how could we miss this from our list? Created by the animal-loving organic beauty company LUSH, this all natural conditioner is perfect for leaving your hair smelling citrusy fresh. Made 100% from organic and natural ingredients, this cruelty free conditioner harnesses the power of lemon oil, rosemary infusion and fresh organic lemon juice to nourish your hair and deliver a beautiful glossy shine. 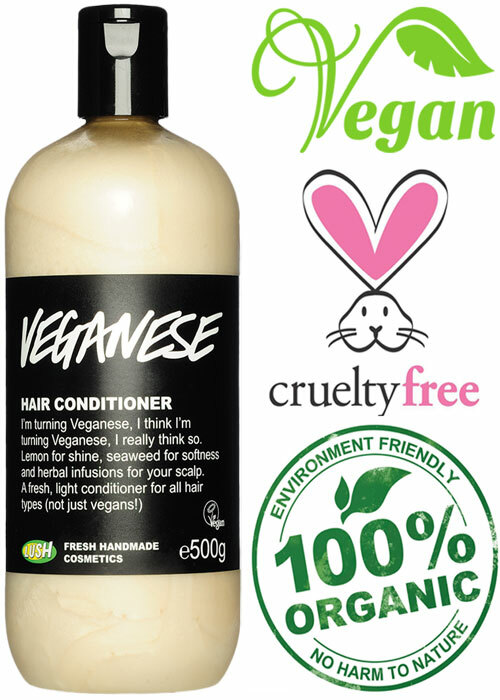 LUSH Veganese is also by far the best vegan conditioner for curly hair. If you’ve got curls that are driving you mad, tame them with this gentle yet firm conditioner. This conditioner would have been higher up on our list but due to its price and the fact that it’s not actually a shampoo, we had to deduct some marks. Nevertheless, with its 4.5 star rating on the official LUSH website and over 500 reviews we still give it full marks for being organic, non-toxic and most importantly cruelty free! 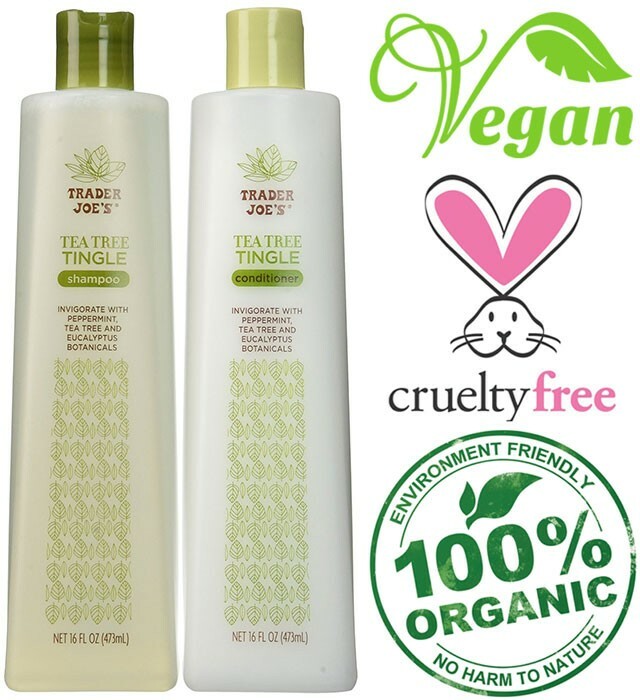 If you’re looking for a cruelty free shampoo and conditioner twin pack then look no further. Trader Joe’s tea tree tingle shampoo and conditioner tick all the right boxes. Enriched with natural organic ingredients including peppermint, tea tree oil and eucalyptus botanicals, this twin pack is 100% cruelty free. Created by the wizards over at Trader Joe’s, this twin pack will enrich your hair with organic botanical and leave it feeling squeaky clean and protected. With each bottle containing 16 oz (473ml), it’s extraordinary value which is just another reason why we had to put it on our list. Currently holding a 4.3 out of 5 star rating on Amazon with over 300 happy customers, there’s no denying that this stuff works. Specially formulated to be used on younger children and babies, Sweet Baby is the best non toxic shampoo out there. Free from numerous harmful chemicals including sulfates, parabens, phthalates, phosphates, and dyes. The shampoo is also free from endocrine disruptors like lavender oil or tea tree oil to ensure the shampoo is as gentle as possible on young ones. Available in a 16 oz (473ml) or 8 oz (263ml) bottle, this shampoo might not be one of the cheapest on our list, but if you don’t want your children to be exposed to any harmful chemicals or ingredients, it’s a small price to pay. Currently averaging a 4.4 out of 5 stars on Amazon, many customers have praised the pleasant smell as well as its ability to leave hair shiny and clean. If you’re thinking of buying it for yourself then definitely do, being one of the least toxic shampoos out there we can’t blame you for wanting it for yourself. Made from organic plant based ingredients by the creators over at The Wonder Seed, this awesome shampoo will leave your hair feeling and smelling fresh with no toxins or chemicals. Featuring an all-natural formula with virgin organic hemp seed oil and a mix of essential sweet orange oils, this natural shampoo is super good for your scalp. The active ingredient virgin hemp seed oil is known for tackling issues such as dry, itchy or flakey scalp, eczema and psoriasis. The formula is so gentle and nontoxic that it is also ideal for children and infants. Available in 2 different fragrances of sweet orange and green tea, each bottle is 8 oz (234ml) and costs less than a gluten free pizza. With a 4.4 star out of 5 rating on Amazon, the shampoo has left customers nothing but impressed with the results. If you have a sensitive scalp or suffer from dandruff then look no further than this enriching shampoo. If you have dry and frizzy hair that needs some serious TLC and moisture, then this is the shampoo for you. Created by the guys over at Giovanni, this organic shampoo is enriched with grapefruit, apple and aloe extract that provides plenty of moisture to leave even the most damaged and dry hair noticeably healthier. Featuring absolutely no parabens, lauryl or laureth sulfate, the shampoo is 100% organic with no animal testing or animal by-products. Available in a triple value pack featuring three 8.5 oz (250ml) bottles, that’s enough to easily last you several months. Scoring an impressive 4.4 out of 5 stars on over 70 reviews, many customers have praised the shampoo for its incredible moisture and delicate cleaning. If you thought only expensive and popular hair brands were capable of fixing damaged hair, then think again. Not only will this shampoo convince you otherwise, but you’ll all feel great knowing it’s 100% cruelty free. Having had its formula refined over 15 long years, this organic shampoo is one of the finest on the market. Its special formula has been tried and tested by many happy customers over the years and the results are fantastic, to say the least. Suitable for all hair types, Christina Moss is proud to put her name on this rich and nutritious shampoo that will leave your hair feeling beautiful and healthy. The price might seem expensive for an 8 oz (236ml) bottle, but the concentrated formula means you’ll get just as much use out of it compared to other 16 oz bottles from other brands. With nearly 500 reviews on Amazon and a very impressive 4.4 out of 5 star rating, it’s easy to see why we included this one on our list. If you want a pure and natural formula that has stood the test of time, then this is the perfect choice. 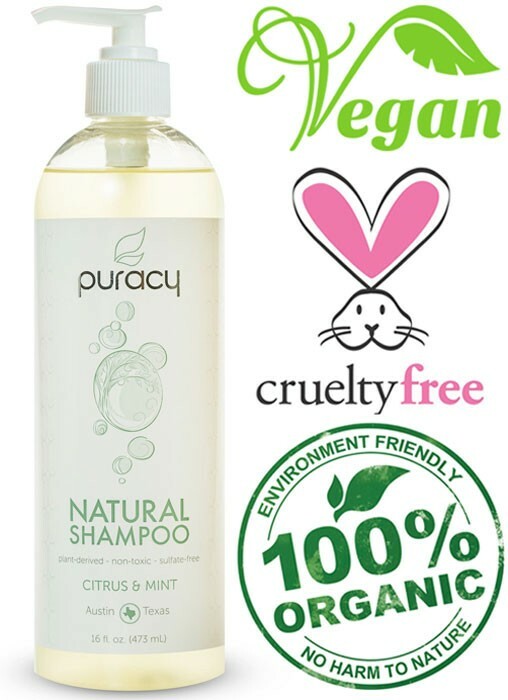 Puracy Natural Shampoo is a balanced blend of luxurious cleaners, emollients and essential oils which all work together to create an amazing all natural shampoo. Also included in these ingredients is squalene which provides endless moisture, eliminates frizz, and creates frictionless hair. Suitable for both men and women with normal, oily, dry or permed hair, the citrus and mint aromas will brighten your day and leave you feeling energized. With no sulfates, parabens, perfumes, animal by-products or other harsh chemicals, you can wash your hair with confidence knowing that you are helping protect the planet as well as animals. The shampoo itself is also 100% natural, gluten-free and biodegradable which helps reduce your carbon footprint even more. Available as a twin pack from Amazon, this is considerably cheaper than the recommended in store price of $15 a bottle. Considering they are fairly large bottles of 16 oz (473ml) each, this is remarkable value and just another great reason why we recommend them. Just missing out on the number 1 spot is Paul Mitchell’s tea tree special shampoo. 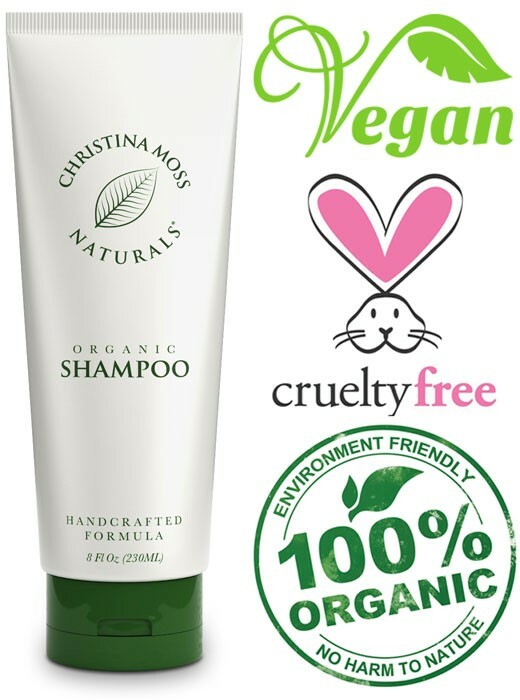 This shampoo shows that it’s not “girly” to use vegan hair care products. Known for their wide range of masculine tea tree products, this shampoo is definitely up there with their best. Full of tea tree oil, peppermint and lavender, the refreshing aromas will have you feeling energized in the morning while leaving your hair fresh and clean. Available in 10.14 oz (300ml) all the way up to 33.8 oz (1000ml), you can decide if you just want to try a small bottle or jump straight in with the big value bottle. With over 700 reviews on Amazon and a rating of 4.4 stars out of 5, this is clearly one of the best organic shampoos out there. 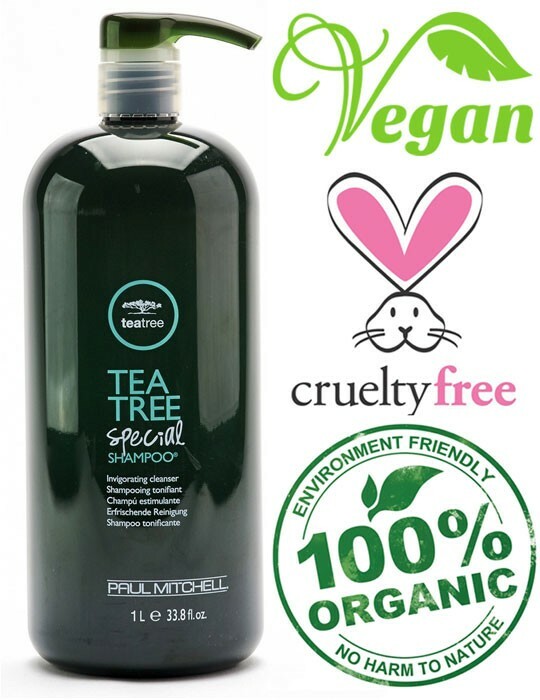 If you love the tea tree smell of this shampoo, then you’ll be pleased to know Paul Mitchell also do a tea tree special conditioner too. Combine the two together and you’ll have a powerful hair care combination that will leave even the most damaged and frizzy hair looking beautiful. Coming it at number 1 on our list is the mighty Botanique Shampoo by Mukti Organics. Made entirely out of organic and non-animal-based ingredients this shampoo is 100% organic and contains no beeswax or honey that other cosmetic manufacturers like to use. The chances are you’ve probably not heard Mukti Organics, but we’re going to change that right now. Mukti Organics are a 100% vegan brand who never test their products on animals, export to countries that engage in animal testing or buy raw materials from companies that do. With their strict code of ethics, Mukti Organics are showing other companies how it’s done. Their brand is real proof that it’s possible to produce 100% organic products that deliver amazing results and customers love. For a 17.6 oz (500ml) bottle the price might seem expensive, but that’s the cost of a high-quality ethical and cruelty free shampoo that produces amazing results. With so much time and effort put into sourcing luxury ingredients, creating the perfect blend of shampoo and all being 100% natural at the same time, you can’t rely knock off marks for the price. It might seem a bit pricey, but we’ll just let the reviews do the talking. 4.7 stars out of 5 is simply fantastic and it currently hasn’t had any reviews lower than a 4! If you want to see what all the fuss is about, then you ought to try the 3.5 oz (100ml) bottle to see how good it is before committing to the 17.6 (500ml) one. But take our word for it, if you want to have the smoothest, silkiest, shiniest hair without any toxic chemicals, or cruelty to animals, then this is our ultimate pick. One of the biggest hair style brands in the business with many shampoos, hairsprays and conditioners under their brand name, Tresemme has been around since the 1940’s. 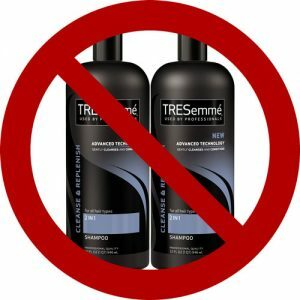 Having launched a broad range of hair products which can be found in many supermarkets, Tresemme has put no effort in hiding the fact that they test on animals. Having been bought out by the consumer giant Unilever in 2010, this only put Tresemme’s reputation to an all-time low. Unilever is known for testing on animals and has been caught numerous times throughout the years. If that wasn’t enough for you, Tresemme has also been featured on PETA’s animal testing list. In addition for having a reputation of testing on animals, Unilever also sells a lot of its good in mainland China which are required by law to be tested on animals. Founded in France over 100 years ago, Garnier is a mass cosmetics brand that produces hair care and skin products. With hundreds of products under their brand name Garnier has become a very popular brand and can be found in many households around the world. 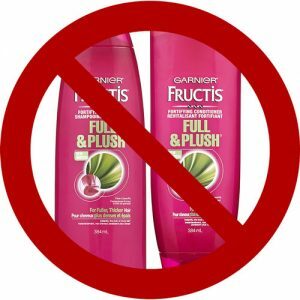 Having been bought out by a very well-known animal testing company L’Oreal in the 1970’s, it’s safe to say that Garnier is definitely not cruelty free. As stated on their website under the FAQ section, “L’Oreal does not test on animals unless regulatory authorities demand it for safety purposes”. This basically means that when they sell to certain Asian countries such as China their products must be tested on animals before they can be sold there. PETA also list Garnier as a brand to avoid on their animal testing database. Organix Hair, also known as OGX, is a hair and beauty company that was originally owned by Vogue when it first launched. Since then it has been acquired by the international cosmetic company Johnson and Johnson which sell worldwide to many stores. Although OGX do list themselves as cruelty free on their website under the FAQ section, PETA and other sources dispute this claim. The first reason for concern is that since OGX products are available in China, this means their products have to be tested on animals in order to be sold there legally. The second concern is that they are owned by Johnson and Johnson as mentioned earlier which have admitted to testing their products and ingredients on animals. Both of these sources give enough information that OGX is not cruelty free. Originally founded in Switzerland during the 1940’s Pantene grew to become one of the biggest hair care companies of its time. In 1985 the consumer goods company Procter & Gamble purchased Pantene in order to compete in the hair care market. including popular brands such as Pantene, Head & Shoulders, Herbal Essences and Pro-V. P & G admit to testing their products on animals and are continuously testing new ingredients and chemicals to use in their products. With so many products under their control, that’s a lot of animal testing! As quoted from their website “P&G only test on animals if required to by law”. Just like many of the other large consumer companies, this would indicate that they are selling their products in China where animal testing is required by law. 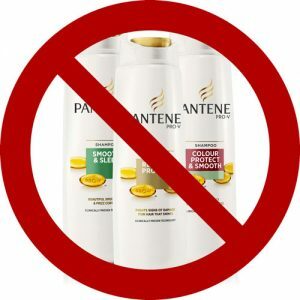 Pantene is also on PETA’s animal testing database. 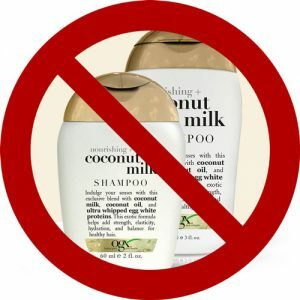 As you can see from this article there are plenty of ethical shampoos out there that give amazing results without containing any animal by-products. Now you have an extensive list of shampoos and brands for a range of different hair types and budgets what excuse have you got now? 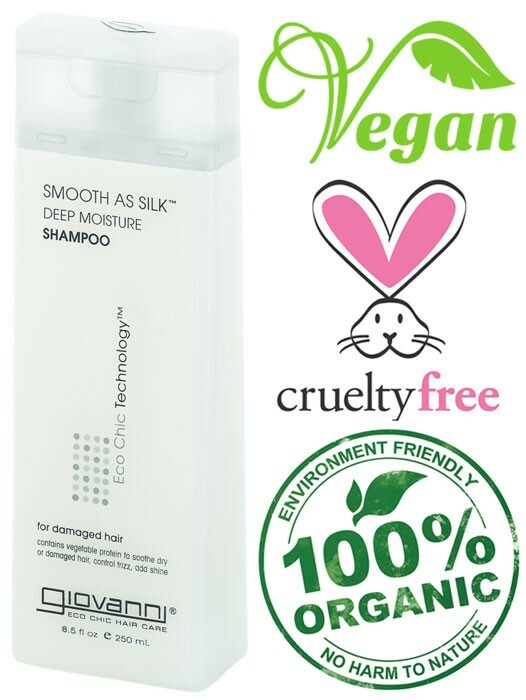 We hope our ultimate list of cruelty free shampoos has proved to you that there are a wide range of vegan shampoo brands out there, which don’t all break the bank! Help put a stop to animal cruelty by ditching your standard supermarket brands and making the switch to cruelty free shampoo. Happy shopping!